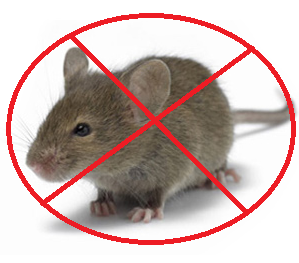 Pest Control: Why You Should Say A Big “No” To DIY? Needless to mention, mice and rodents are the most troublesome creatures which can become a big nuisance for you. From a long time, these creatures have become a big problem for the residential and commercial sectors. No, there is simply no hard and fast rule to eradicate the pests but thanks to the advanced techniques which have definitely made life a little easy for them. These days, more and more people look for skilled and qualified professionals for rodent control Perth. Of course, you always have the option to take a DIY approach so that you can get rid of the mice, ants or termites. Out of 10 times, 9 times you are going to be unsuccessful. Therefore, it absolutely makes sense to hire a professional for mice control. Why You Should Look For Qualified Professionals When You Can Do It On Your Own? Of course, an experienced professional is specifically trained to such processes and they also have the right expertise to do the job perfectly. You may have the determination but might not have the required skills to do the job perfectly. When it comes to the rodent control procedures, it is a time-consuming task. If you don’t hire any experienced professionals for the job, it will definitely take a lot of time to do the task perfectly. For people who have decided to take a DIY approach, they have to buy the equipment on their own. This will definitely cost you a lot of money as opposed to hiring a professional for mice control Perth. Keep all these great tips in mind to choose the best professional for the task.